The hilarious comic book talk show with authentic New York style. Trusted by thousands of viewers each week. Tune in and talk comics. New episode every Tuesday. Pete is a comic book superfan. Few are more dedicated and opinionated to the cause, except perhaps his panel of regulars and guests. Join them each week in Pete's Basement where they rant about the subject of comic books, good and bad, and hopefully no one gets beat senseless! As seen on G4's Attack of the Show, and the NY Daily News. Real comics. Real opinions. Real New Yorkers! New episode every Tuesday since 2008. 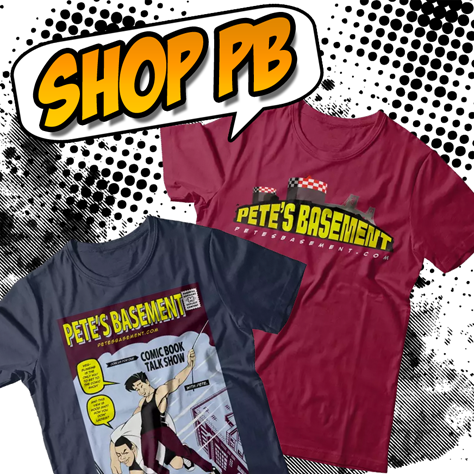 Watch Pete's Basement Now! Read about us in the Daily News! Watch our NY Daily News interview, uncut and uncensored! Subscribe to Pete's Basement and always get the latest episode automatically on your computer.